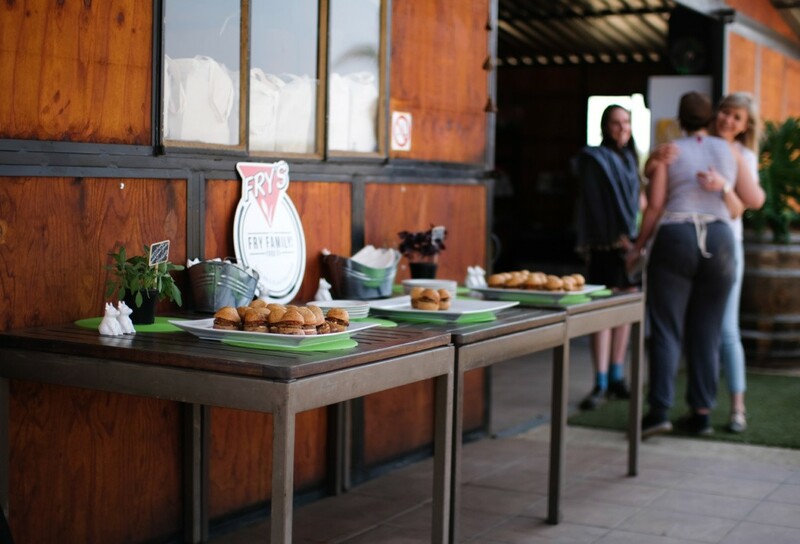 At the end of last year I attended the Fry Family Food Co. Braai-day. I’ll be honest, plant-based protein or going vegan wasn’t something we had given much thought to. We are aware of the benefits of reducing our meat-intake but, like most South Africans, we tend to enjoy a diet loaded with animal proteins. For some reason we hadn’t yet caught on to the international trend of including more plant-based protein in our meal plans. I grabbed onto this learning opportunity and was blown away by the knowledge, support and resources Fry’s are providing to the public. As a family we place our health and being kind to the environment high on our list of priorities. We wanted to make a change and eat less meat. Joining in on #MeatFreeMondays is something small that would be easy for our family to do and stick to. Thanks Fry’s for lending me your awesome graphics. 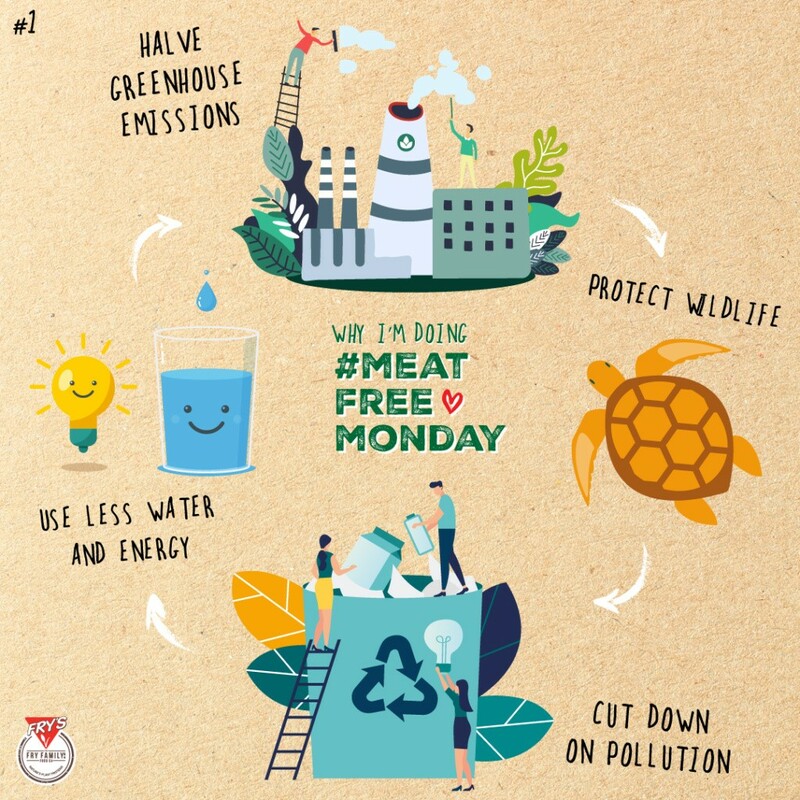 When going meat-free on Mondays the environment wins and so do we! 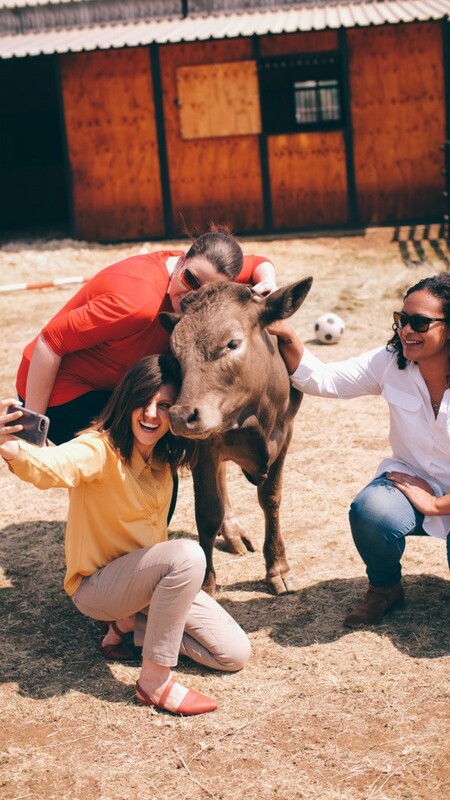 This year we decided to recommit and pledged to go meat-free every single Monday. Being veggie lovers already we haven’t had to change much about our diet. 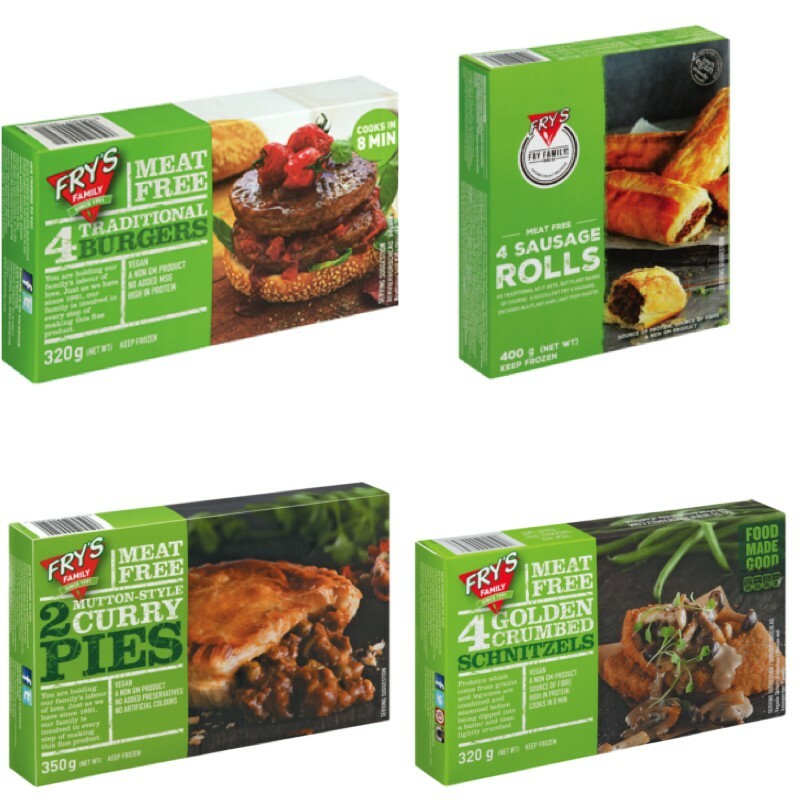 The Fry Family Food Co. has made the transition even easier with their incredibly tasty and convenient product range. We are still eating all our favourite dishes and simply switched out our normal animal proteins with the alternatives provided by Fry’s. As an added bonus I can prepare dinner in half the time. Fry’s products cook much faster than our regular meat options. We’ve been good at sticking with our choice. My biggest personal gain has to be my own sleep. I’ve definitely noticed a difference in the quality of sleep I enjoy every night (maybe once Ava’s done teething the quantity will improve as well). The Fry’s product range adheres to the strictest health and safety standards set by the EU as well as Australia. Fry’s only uses NON GMO ingredients with natural flavours and spices. No artificial flavourants. At it’s core, Fry’s has stayed a family business, with their chief taste testers being the Fry’s grandchildren. Eating Fry’s regularly, up to 2 portions a day is safe for child consumption. Regular cow’s milk and other animal proteins also contain many hormones, including estrogens, and we really don’t understand their long-term effects. Tammy Fry (Mother of 2, athlete, plant-based nutritionist and the founder of the Seed workshop and blog) has written countless articles on raising kids vegan. 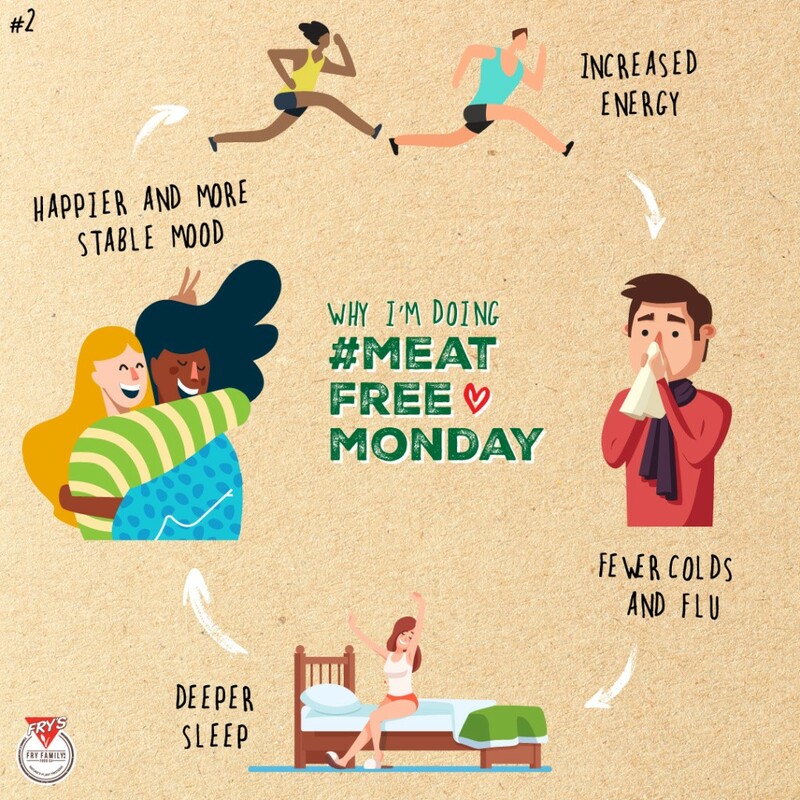 After attending one of her workshops I’m more convinced than ever that #meatfreemondays with Fry’s is a safe, convenient and easy choice for our family. We approach soy as we would anything else. With moderation. It has wonderful, proven health benefits too and the Fry’s range consists of so much more than just a chunk of soy beans. Please visit the Fry’s website FAQ section for an in depth explanation on soy, click here for more. I feel completely comfortable and healthy eating Fry’s regularly and especially on a Monday! You will be spoiled for choice when it comes to delicious options. 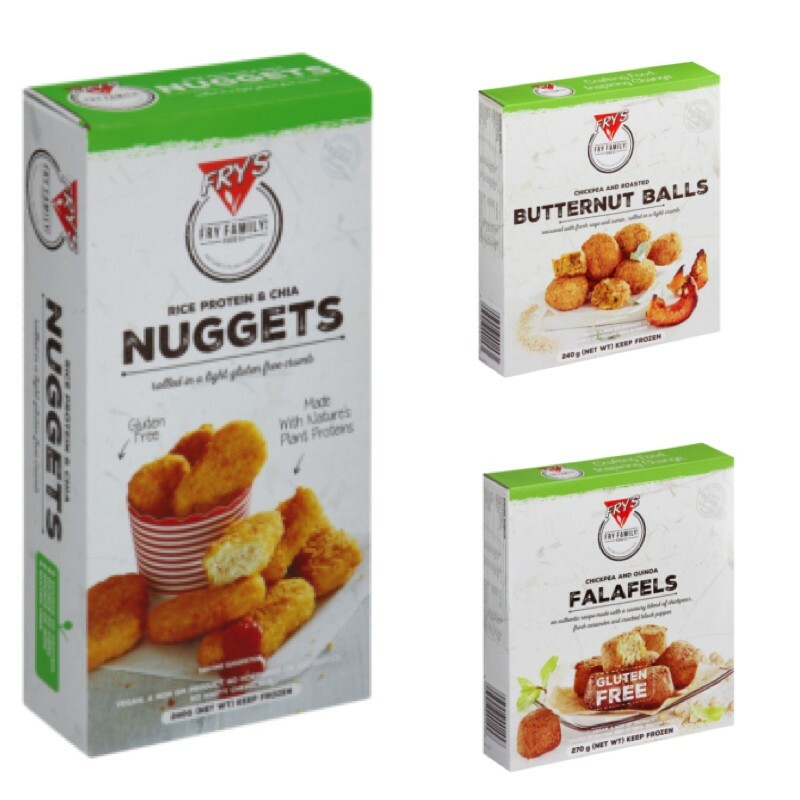 Think hearty pies, juicy burger patties, crunchy nuggets and spicy sausages. 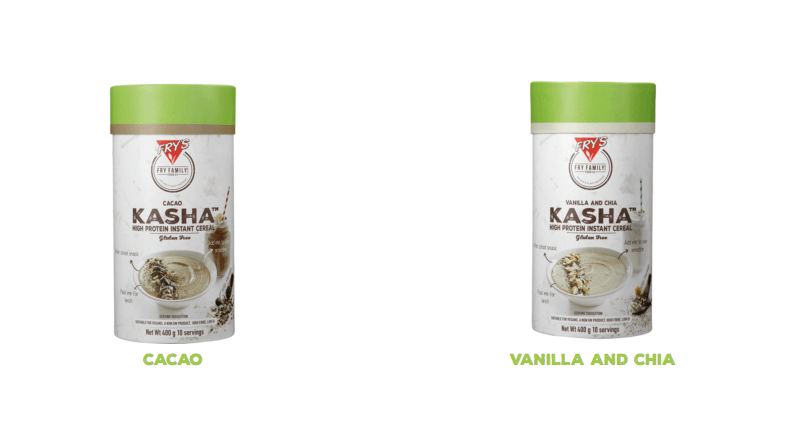 There’s so much to enjoy and breakfast is even covered with their protein-packed, gluten-free instant cereal, Kasha. 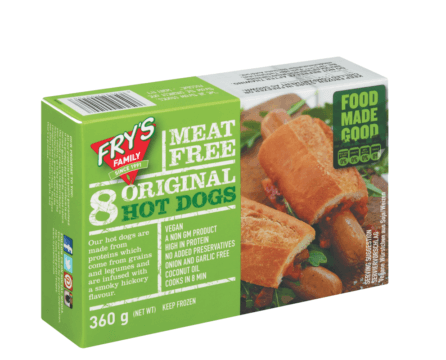 The Fry’s original hotdog sausages are probably one of our favourites from the range. We much prefer these over any old vienna. 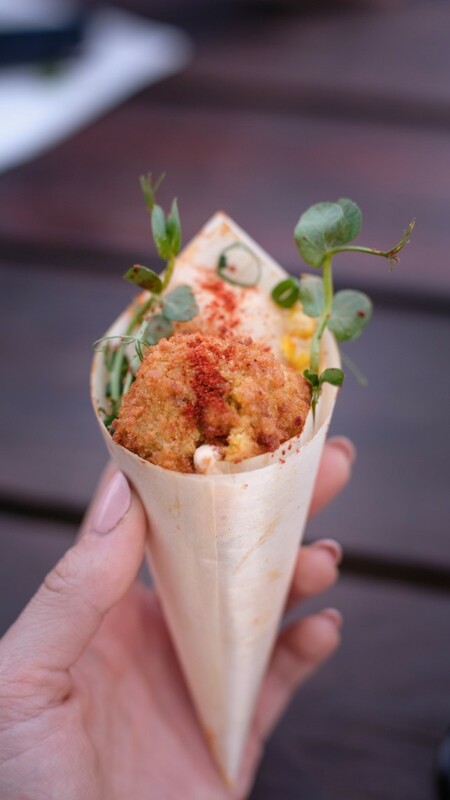 And we are forever snacking on the tasty treats from the “crafted” range. Our local Pick n Pay stocks a huge variety (like most hypers do). You can also find the range from most independent and health stores nationally. We are learning more about plant-based diet options everyday and would really appreciate hearing from YOU. Doing #MeatFreeMonday with other families will make it much easier. So, please leave us a comment and let us know what you think. Well done for doing #meatfreemonday. It is important to understand why this diet trend started. I am so happy you showcase that it is not just about the love for animals but also understanding that meat production is dangerous for the environment (greenhouse gasses). This doesn’t mean everyone should go vegetarian but moderation is key here. It is learning to listen to your body. Have enough nutritional meals to feed your body. Thank you for sharing such an amazing brand to easy make more sustainable choices for your body and our planet. Thank you Ali for explaining soy in such a sensible way. It help us (and so many others) understand it so much better! 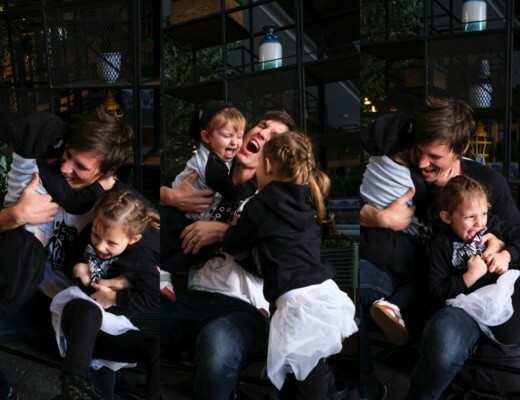 I am struggling to get my kids to ditch the meat but David and I often have meat free meals. That’s interesting to hear Laura. In our home we had the opposite. The girls transitioned pretty easily, Alec however was skeptical. Over time however we all have come to enjoy the meat alternatives by Fry. Thanks so much for commenting. Wow. I feel like I learned so much. We often have meat-free days because my husband doesn’t eat beef or pork, and we get sick of chicken and turkey! I didn’t even consider all of the benefits for the earth. Great article! Thank you Misty. I never knew either but now it keeps me motivated to go meat free as often as possible. Taking care of our planet is a global issue and every small change is a step in the right direction. We don’t go meat-free every Monday (or even once a week) but this is something I aspire to. Soy interacts negatively with some of the maintenance medications I am on for long-term health issues, so we try to avoid soy, BUT I love quinoa (complete protein in a single grain!) and we also cook lots of beans/lentils. This is such an important thing for us to work on, as a global community! I did not know that Flossie. Thank you for sharing and also for the great suggestions regarding soy alternatives. We will be looking into those. This looks yummy! Whether you are vegan or not, having some meat free days in your week is great for your health, and your pocket book! Wow those look so tasty! I love that these are meat free and their graphics are so cute. They are! x I appreciate the packaging too PLUS it makes it easy to spot in the frozen food section. All these meat-free alternatives look very good. They are so delicious Sarah and definitely worth trying.